CarGurus has 37,103 nationwide Sorento listings starting at $1,500. Kia's 2011 Sorento offers an appealing mix of stylish good looks, pleasant driving dynamics and value-laden pricing. The 2011 Sorento is a bit slow with the base engine, and its brand image and resale value still lag behind the competition's. Buyers looking for value in a crossover SUV should put the 2011 Kia Sorento at the top of their shopping list. With so much to offer, including room for seven and a fresh, modern driving experience, it's amazing that Kia can offer the midsize Sorento at a small-SUV price. Though the Kia name might not carry as much cachet as the competition (chiefly the Toyota RAV4), the 2011 Sorento looks and drives every bit as well as the segment's heavy hitters. All new for 2011, the redesigned Kia Sorento reflects the ever-improving dynamics and build quality offered by this Korean automaker. Each new Kia, it seems, is light years ahead of its predecessor, and the 2011 Sorento is no exception. Designed expressly for the North American market, the new Sorento is the first Kia built at the company’s new U.S. assembly plant in Georgia. Built on a car-based unit body platform, the 2011 Sorento is ready to provide some stiff competition in the mainstream crossover market. Sized somewhere between Toyota’s popular RAV4 and Highlander, the 2011 Kia Sorento is a midsize crossover SUV with five doors. Two trim levels (LX and EX) are available, and the Sorento offers four- or six-cylinder power. While its exterior styling won’t necessarily turn heads, the 2011 Sorento possesses a clean, integrated look, with a classy grille, alloy wheels and subtle chrome accents. While not quite as inexpensive as they once were, Kia’s products always undercut the competition significantly. In the past the value Kia offered was offset by cars and trucks that were slightly unrefined. Now with the new Sorento, the Korean automaker has finally provided a world-class vehicle that is still a great value. 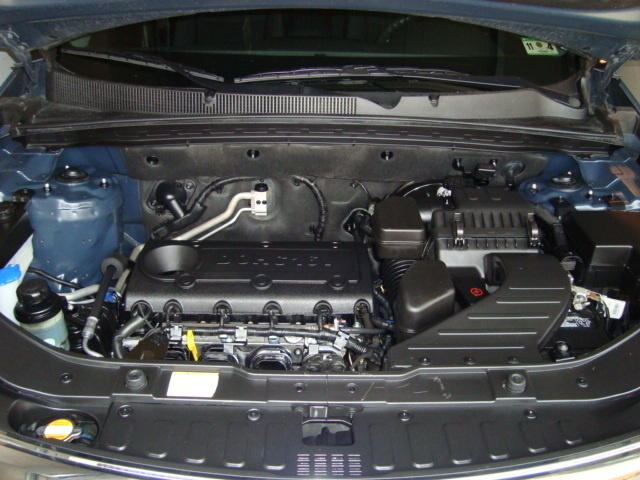 For 2011 LX and EX Sorentos feature a 2.4-liter four-cylinder engine that develops 175 hp and 169 lb-ft of torque. Featuring all-aluminum construction, dual overhead camshafts and variable valve timing, the four-cylinder revs willingly and makes pleasant, refined noises. Though it behaves very well, the inline four-cylinder just doesn't have enough torque to move the 3,800-pound Sorento with any enthusiasm. Acceleration is leisurely; 0-60 takes over 9 seconds, and highway passing requires careful planning and a heavy foot. A Kia-designed six-speed automatic transmission is standard and does its best to enliven things with smooth, timely shifts and a carefully chosen ratio spread. Optional in either Sorento trim is a punchy, 3.5-liter V6 that delivers a robust 276 hp and 248 lb-ft of torque. 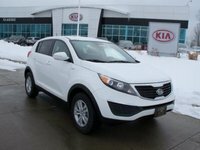 Also constructed from aluminum and featuring a high-tech valve train, the larger motor greatly improves the Sorento's acceleration and passing power. While fuel economy drops slightly with the six (from 29 mpg highway to 26), the 2-second improvement in 0-60 acceleration is worth the extra thirst. 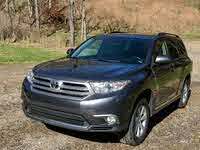 The V6 also pairs with the excellent six-speed automatic. The optional AWD system (available with either engine) uses electronic controls and a lockable center differential to provide superior traction on slick roads. The new, modern chassis is a welcome change from the outgoing Sorento’s truck-like ladder frame, and it pays huge dividends in ride comfort and overall smoothness. The new platform is also commendably stiff, with excellent vibration damping. With its unit-body construction, the 2011 Sorento has the buttery driving dynamics and car-like ride that today’s buyers demand. The 2011 Sorento features a four-wheel independent suspension consisting of MacPhearson struts in front and a multi-link setup in back. The hydraulically assisted steering is light and accurate, and the 2011 Sorento handles corners confidently. Though its overall bias clearly favors comfort over performance, the reasonably well-controlled body motions contribute to a secure feel in tight corners. On the highway expansion joints and potholes are well isolated and the cabin is quiet. Inside the 2011 Sorento you’ll find an interior that is exceptionally well fitted, another indication of how competitive Kia has become. The dash design breaks no new ground but is quite ergonomically friendly and has a modern (if slightly derivative) look. The plastics are high quality and have an expensive texture, though the monochrome color scheme could be a bit livelier. LX Sorentos are quite well-equipped, with standard air conditioning, power features, and even Bluetooth. The top-line EX offers a standard power driver's seat, dual-zone climate control and push-button keyless start. Four-cylinder Sorentos seat five passengers, while V6 trims offer a standard third-row seat (optional on I4 trims) that expands capacity to seven. Overall interior space is good, with plenty of elbow room and generous legroom for second-row passengers. The third row provides a high level of seating flexibility, though it isn't really suited to adults and encroaches significantly on the cargo area. Both rear seats fold flat; the second row splits 60/40, and the two-place third row folds 50/50. With both rows stowed the 2011 Sorento offers a sizable 72.5 cubic feet of cargo room. Mindful of its status as a family hauler, Kia has equipped the 2011 Sorento with six standard airbags (front, side and curtain) along with active headrests and a plethora of electronic driver aids. The inclusion of four-wheel disc brakes with ABS, plus traction and stability control, should help keep the Sorento on an even keel during emergency maneuvers. In Insurance Institute for Highway Safety crash testing the 2011 Sorento earned the top rating of Good in all front- and side-impact categories. 2011 Sorento owners are quite pleased with their vehicle's smooth road manners and comfortable ride. Also earning high marks are the Sorento's high level of standard equipment and competitive price. Several buyers remark on the high-quality feel of the interior, a definite sign that Kia has come a long way. Negatives include complaints about the four-cylinder's lack of grunt and fuel economy that lags slightly behind the EPA ratings. 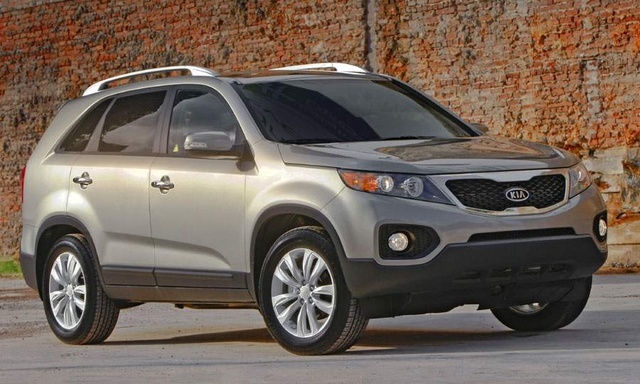 What's your take on the 2011 Kia Sorento? 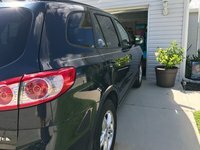 Joel My Sorento is a replacement for a Lexus RX330, and all things considered, this lower-priced vehicle with less bells and whistles is pretty good. Unfortunately I have run into the same door lock problems experienced by many 2009-2012 Sorentos and other models, and Kia's continued insistence that these problems do not constitute a safety hazard and failure to institute a recall is distressing. Perhaps even more disturbing is the dealers' practice of refusing to repair door lock problems during evaluation (which involves the high labor cost of removing and replacing the door panel), and instead putting everything back together (still broken), and then if returned for actual repair charging four times or higher than the evaluation charge which includes removing and replacing the door panel again plus the needed part or parts cost. So much for Kia's high customer satisfaction ratings. Users ranked 2011 Kia Sorento against other cars which they drove/owned. Each ranking was based on 9 categories. Here is the summary of top rankings. Have you driven a 2011 Kia Sorento?